Airtel is one of India's leading provider of prepaid, postpaid, wireless internet, broadband, fixed line, digital TV & mobile services. Airtel Online Recharge brings you the best offers on all recharges, be it data packs, top-ups, bonus cards etc. Now, you can earn cashback over and above these amazing Airtel Online Recharge deals and offers. How? 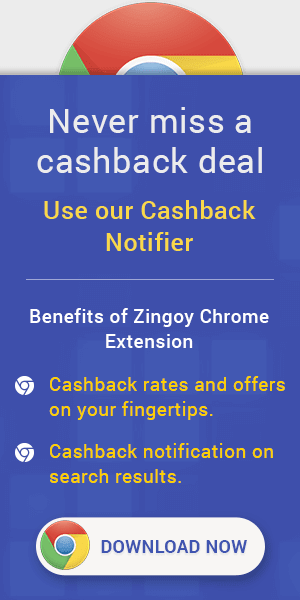 With Zingoy that brings you cashback on all your own and your friends’ Airtel Online Recharges made using Zingoy. Airtel Super Talktime Recharge Offer : Now Get Rs.100 Talktime on Recharge of Rs.100. Pay using Airtel Money Wallet & avail the offer. Coupon code is not required. Checkout the landing page for more details. Now Get Rs.200 Talktime on Recharge of Rs.200 . Pay using Airtel Money Wallet & avail the offer. Coupon code is not required. Checkout the landing page for more details. Now Get Rs.550 Talktime on Recharge of Rs.500. Pay using Airtel Money Wallet & avail the offer. Coupon code is not required. Checkout the landing page for more details. Airtel Super Talktime Recharge Offer : Now Get Rs.1100 Talktime on Recharge of Rs.1000. Pay using Airtel Money Wallet & avail the offer. Coupon code is not required. Checkout the landing page for more details. Airtel Online Recharge Cashback Offers : Now get Local + STD Calls, Unlimited Roaming Incoming Calls, Unlimited Roaming Outgoing Calls, 100 Local/National SMS per Day at Rs.399 only for 70 days. Airtel Online Recharge Cashback Coupons : Now get Local + STD Calls, Unlimited Roaming Incoming Calls, Unlimited Roaming Outgoing Calls, 100 Local/National SMS per Day at Rs.448 only for 82 days. Now get Local + STD Calls, Unlimited Roaming Incoming Calls, Unlimited Roaming Outgoing Calls, 100 Local/National SMS per Day at Rs.509 only for 90 days.